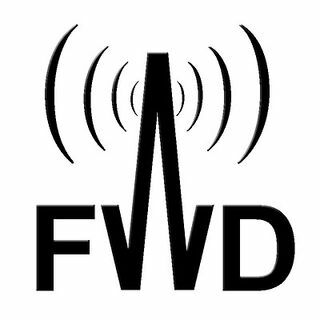 Forward Radio is a progressive, creative radio network for forward thinkers. Check out our great, growing selection of shows! Our attempt to bring information and motivation, to stand as an inclusive country with equal rights for all Americans. My daily rant concerning the days news and current events are my way of protesting what I feel is an unfit man in our house.Our country is better than that. I ask that you stand with us to make it clear that we will not ... See More tolerate a president that does not work for all Americans. We talk with artists, artisans, musicians, and anyone who creates something unique and interesting about the living behind the making. Our conversations explore the ups and downs, and the spaces in between with an interest in how creativity is ignited. In a climate of activated creativity and what we perceive as increased pressure to ... See More create something “new” and “different”, our hope is to impart a sense of hope and inspiration. That each path and way through is valid. That the means to the end is to live and do whatever it is you do. That is where the stories of creativity and inspiration live. For more info and to see some of the work of artists we interview, check out our website at www.mylifecreative.com. In the tradition of Will Campbell, the bootleg preacher, Rev. Mark Sandlin and Priest David Henson bring you their backyard brew of high octane theological perspectives on pop-culture, politics and Christian culture. T&Z Talk is what happens when a seasoned, veteran radio host and a featured Huffington Post blogger get together and talk about the world. It's news from the day, the day before, and opinion. Lot's of opinion. But above all, it's informative and entertaining. T&Z Talk, discussing national politics, social issues, ... See More and general conversation about things we find interesting. Tony Trupiano and Richard Zombeck, two strong Progressive voices for social, economic, and political change in America.